Urban Electric Power (UEP) is a New York based company manufacturing and deploying high-capacity, rechargeable, and inexpensive batteries. Made from earth-abundant and safe materials, zinc and manganese dioxide, these batteries can be stacked to power homes and businesses for several days during power outages and recharged hundreds of times. 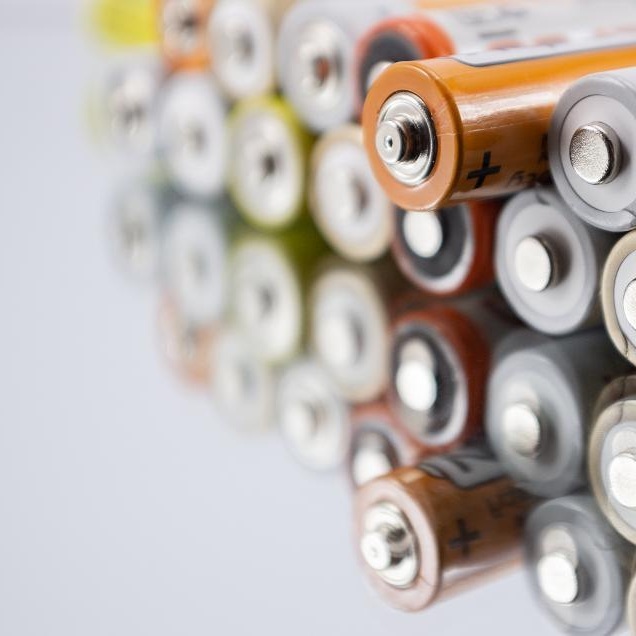 These batteries can be recharged from a variety of sources, including solar panels and wind turbines, and can be easily incorporated in micro-grids powered by renewable resources. UEP’s vision is to provide affordable power to everyone, enabling a future where fuel is replenished on a human timescale. UEP’s cell uses the same zinc manganese dioxide chemistry as traditional AA batteries, yet can be recharged hundreds of times. Just like the AA cells, UEP’s batteries are high capacity, safe, easy to transport, and very inexpensive. They have also received UL 1973 Certification, a requirement for energy storage systems in New York City. Protect your business, residence and family during a power outage. Modular systems scale to create a custom energy solution capable of providing power for several hours to several days. Systems can provide stand-alone backup power, or be paired with solar panels or wind generation. Systems are now being installed in residences and businesses in the United States. 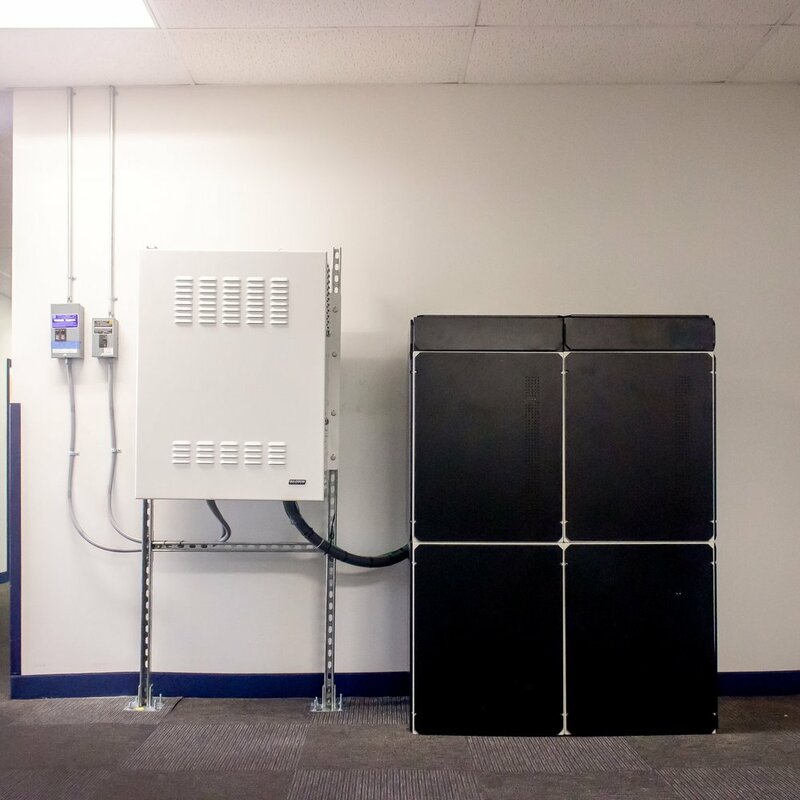 The UEP batteries can be charged with excess power generated by solar micro-grids in the late morning and afternoon hours and they can be fully charged in 4-6 hours. UEP is building, in collaboration with Sandia National Lab, the Department of Energy, and New Mexico State University, integrated solar storage systems that fit on a pallet, can be easily transported, and require no configuration. The UEP batteries do not experience thermal runaway, therefore they can be safely installed indoors in buildings located in urban areas like New York City. UEP is working in collaboration with NYSERDA and the State of New York, the DOE Office of Energy, the City University of New York (CUNY), and the City College of New York (CCNY) to build a grid-connected, 1 MWh/300 kW grid-tied system for demand response and peak shaving in CCNY. Sanjoy is a Distinguished Professor in Chemical Engineering at CCNY and the Director of the CUNY Energy Institute. He is the lead inventor of the UEP technology. He was previously Department Chair and Professor of Chemical Engineering at UC Santa Barbara. David is the co-founder of Elmrock Partners and the Director of Applied Signal Technology, Inc. (APSG NASDAQ). He served on the board of NYSERDA. Jamshyd is Chairman and Managing Director of Godrej & Boyce Manufacturing Company, Ltd. Godrej and Boyce (G&B) is a privately held, global Fortune 500 industrial conglomerate headquartered in Mumbai, India. Founded in 1897, G&B and affiliated companies (Godrej Group) generated revenues of $4.5B+ in 2017. Valerio holds a PhD in Chemical Engineering from UCSB. He has 20 years of industry and executive level experience. He is responsible for product design, marketing, and installation, and was previously CEO for an extended period of Mindflash Technologies. John has 30 plus years of professional investing experience and is the founding member of CEVG: NY. Alex is Professor of Chemical Engineering at CCNY and holds a PhD in Chemical Engineering from the University of Michigan. He has 25 years experience in research and manufacturing and over 50 peer reviewed research articles and 5 patents. Andy has over 30 years leading engineering and factory operations of batteries and energy systems in Europe, China, India and the US. He employs a cutting edge management style keeping a pragmatic sense to lead start-up and factory transformations including close personal oversight of all aspects and details. Gabe has an MPA Environmental Science and Policy, Columbia University and 10 plus years of business development and project management experience in the clean energy sector. He is responsible for financial management, business development and strategic planning. Devon has an MBA from the Harvard Business School. She leads UEP operations in India, focusing on relationship management with JV partner Godrej and Boyce. Jinchao has a PhD in Chemical Engineering from CCNY. She has been a senior research member at the CUNY Energy Institute since 2011, and she has seven years of research experience on zinc manganese dioxide cells. Ann Marie facilitates fundraising, private financing and grants. She brings depth of experience in start-up companies and renewable power sources.